Special thanks to Reba Robertson for sending this great photograph of Victor! 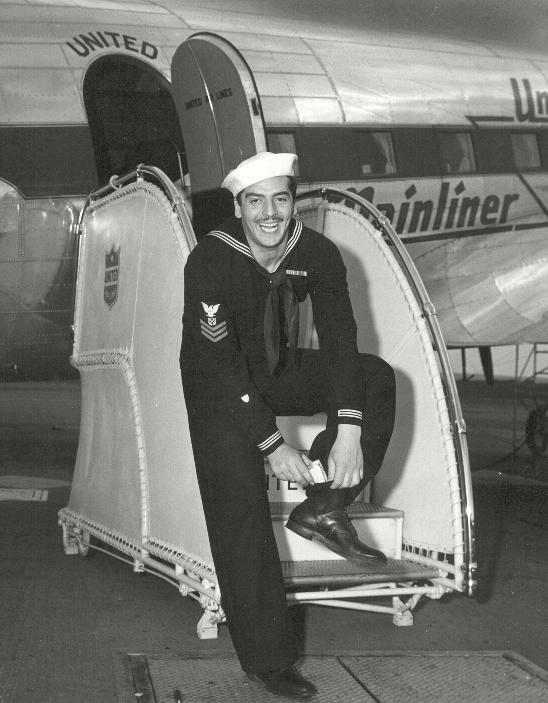 Like all true Coast Guardsmen, Victor Mature carries his cigarettes in his sock. The fighting Coast Guardsman, just returned from combat action aboard a Coast Guard convoy cutter in the North Atlantic, tucks away the smokes before boarding a plane at the Washington, D.C. National airport. He is bound for a tour of the Midwest in the interest of the Third War Loan campaign, being conducted by the Treasury Department. This is an official Navy photograph.